HURRICANE — Two crashes were reported back-to-back on an ice-covered bridge in Hurricane early Friday morning as responders braved freezing temperatures that hovered just above 20 degrees. “We had two separate crashes within just minutes of each other,” Hurricane Police Department officer Ken Thompson said. Shortly after 7 a.m., emergency personnel responded to a single-vehicle crash on the Hurricane-LaVerkin Bridge involving an SUV that crashed into the median, Thompson said. 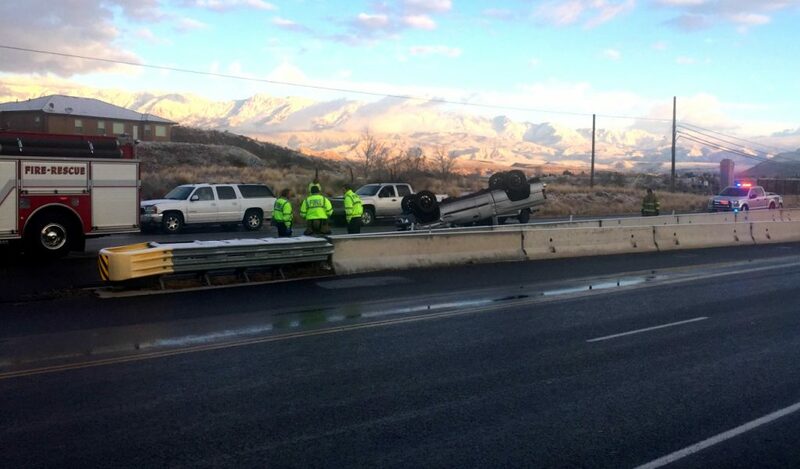 The driver lost control of the SUV as it slid across the ice and was stopped by the concrete barrier, Thompson said. There was minimal damage to the vehicle and the driver reported no injuries. 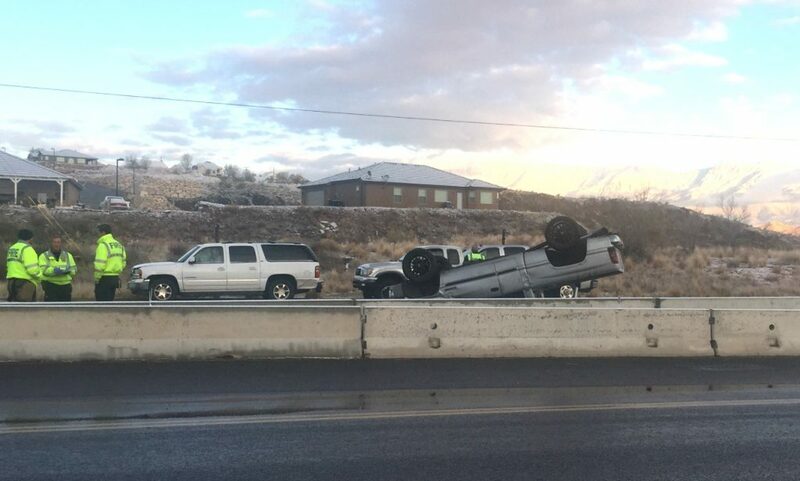 The second crash, reported 10 minutes after the first, involved a silver Chevrolet pickup truck that also slid into the barrier before it rolled over, landing upside-down in the middle of the roadway. 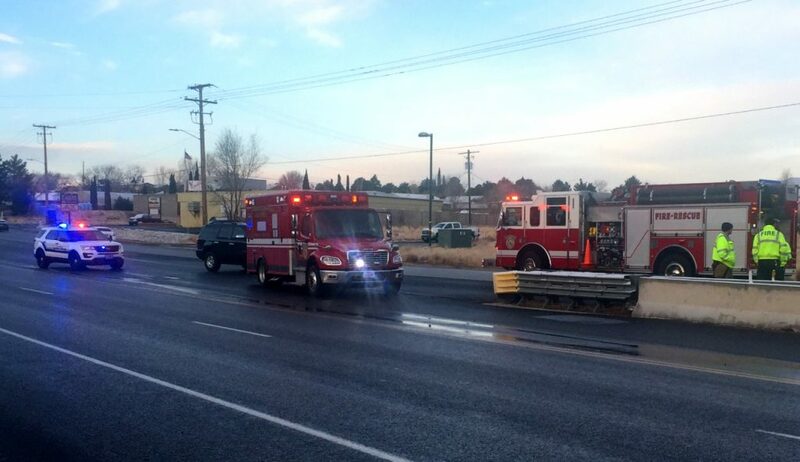 “There was one occupant inside of the vehicle that reported no injuries and no one was transported,” Thompson said. 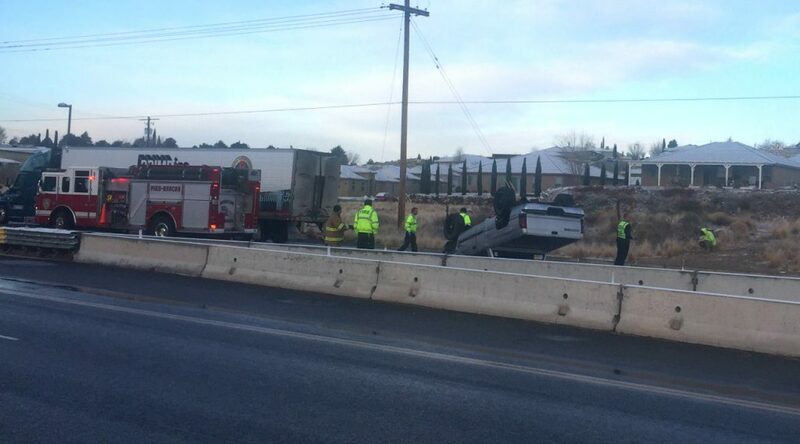 The driver of the pickup truck was cited at the scene, while information on the SUV driver was unavailable at the time of this report.